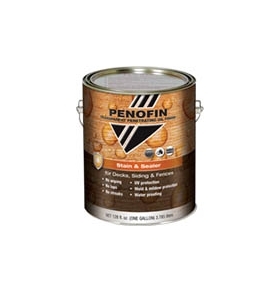 Stain & Sealer is a penetrating, oil based, semi-transparent wood stain and sealer in one. This finish does not require wiping or back brushing, will not crack, chip or flake and will leave no runs or streaks. Stain & Sealer can withstand rain & water within minutes of application, be applied in high temperatures & direct sunlight and is easy to maintain; with no sanding or stripping required for re-application.